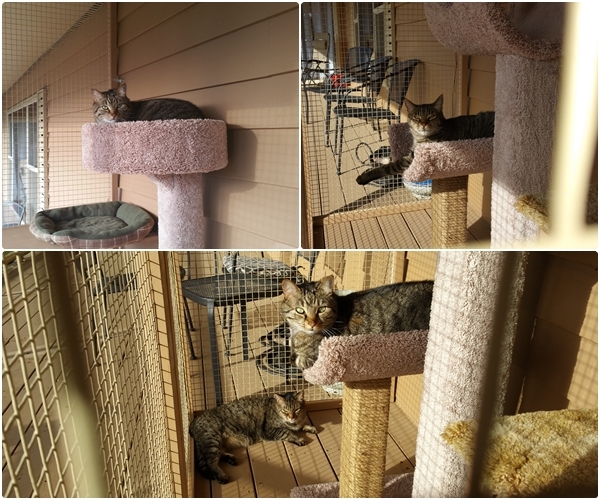 I am pleased to report that the catio has been a raging success! 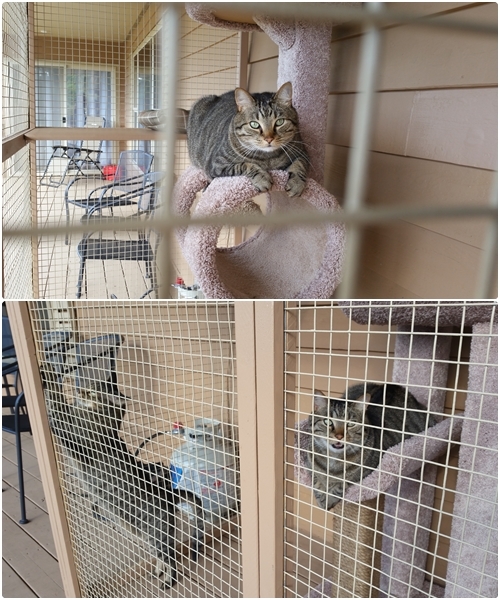 The boys love coming and going on their own and I LOVE not having to open doors all the time or shoo incessantly meowing kitties from the room. 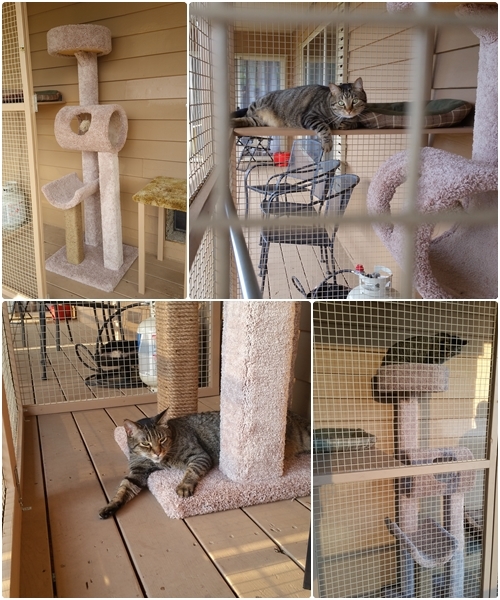 We still have room to grow but for now, we went the easy route and outfitted the catio with a modest cat tower. Using some leftover wood from other projects, we added an upper tier shelf to the left that allows them to get to the top of the tower and a lower shelf over the cat door.